Yesterday, Good Morning Britain, for some inexplicable reason, decided it was a good idea to create a poll asking whether Britain should boycott this year’s Eurovision in Israel. 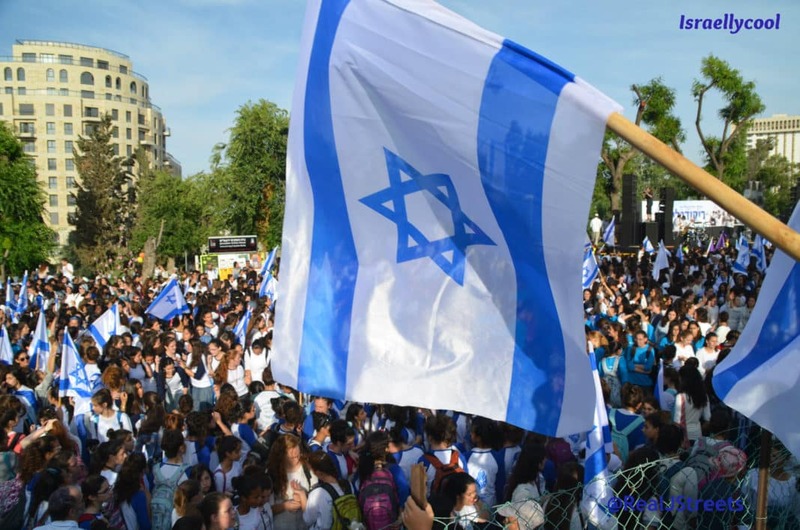 I question the sanity of this decision because no good could come of it – it could only play into the hands of the Israel haters who want to politicize Eurovision. The haters probably thought this was a good thing. But things did not exactly go according to plan. Then, for some equally inexplicable reason, Good Morning Britain pulled the poll. Was it because Israel came out looking good, or because they took notice of the criticism? Either way, the hater are frothing at the mouth. 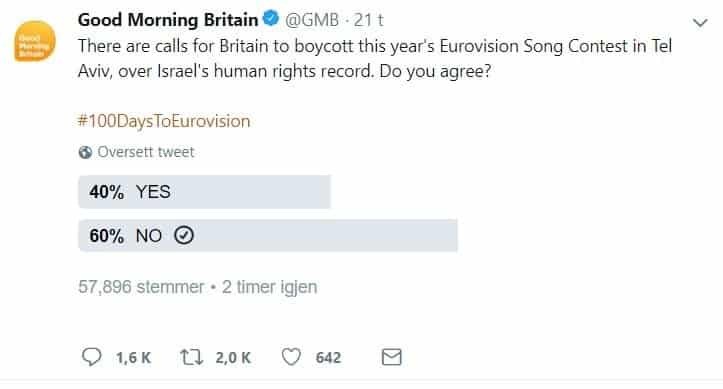 Looks like @GMB deleted this tweet, asking if viewers agree w/ Britain boycotting #Eurovision2019 over Israel's human rights abuses. It had been running 55-34% in favour before Israel intervened.